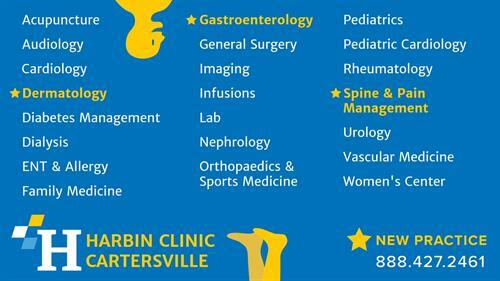 Harbin Clinic has two locations in Bartow County providing comprehensive medical services for Cartersville and Adairsville. Here you can find a primary care doctor to help maintain and improve the health of your entire family -- including grandparents, kids, and babies. And as your family grows, we can help manage your pregnancy until you welcome a healthy newborn into the world! You can schedule a wellness visit or get help with a chronic condition. 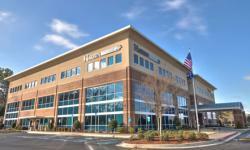 To see a full list of services, click on the ''Learn More About Harbin Clinic Cartersville/Adairsville Services'' link under HIGHLIGHTS. Adairsville Family Practice and Pediatrics Moving to New Facility Spring 2018!